Forrester evaluated 15 leading comprehensive integration solution (CIS) vendors against 137 criteria that reflected the requirements of application development and delivery professionals. 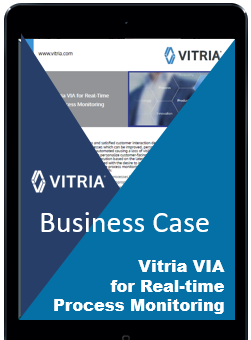 Vitria’s top scores included business process management (BPM), application development framework, architecture, integration server, and product strategy. Vitria’s M3O Suite enables enterprises to model, manage, monitor, and optimize their processes to meet business challenges. With its advanced Complex-Event Processing (CEP) and Business Event Management capabilities – both receiving the highest possible scores in The Forrester WaveTM – the M3O Suite enables enterprises to respond instantly and proactively to changing business conditions. The integrated components include M3O Analytic Server, M3O BPM Suite, and M3O Operations Book – a flexible and powerful process integration solution. Long recognized as a leader in innovation, Vitria empowers organizations to move beyond traditional process integration with groundbreaking capabilities that give users greater control to manage their business. Vitria’s M3O Suite is a comprehensive integration solution that enables organizations to meet their business challenges and stay ahead of the competition.